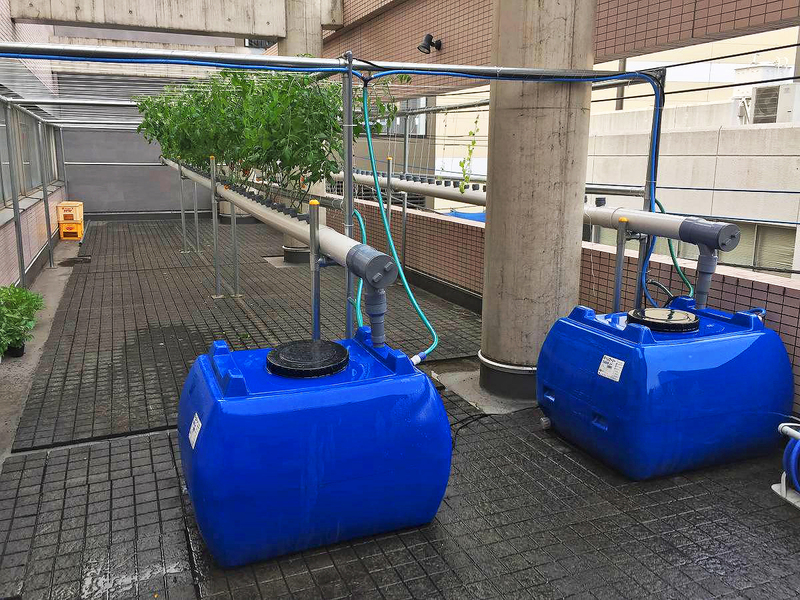 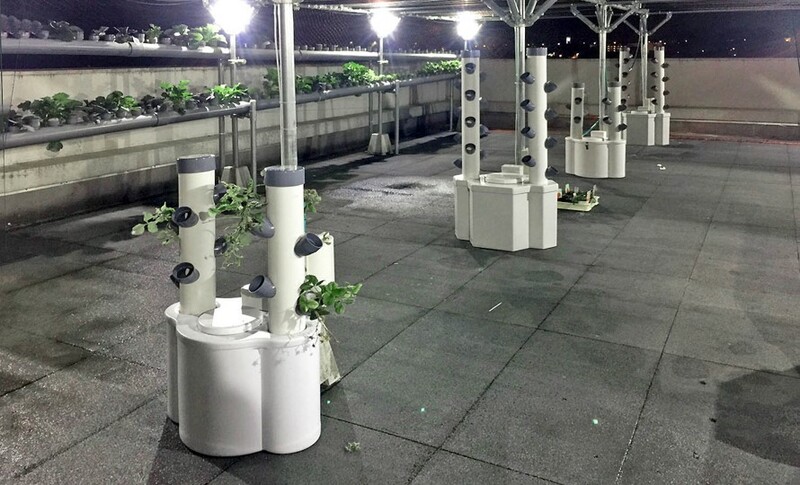 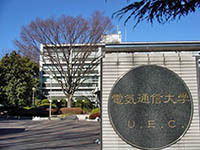 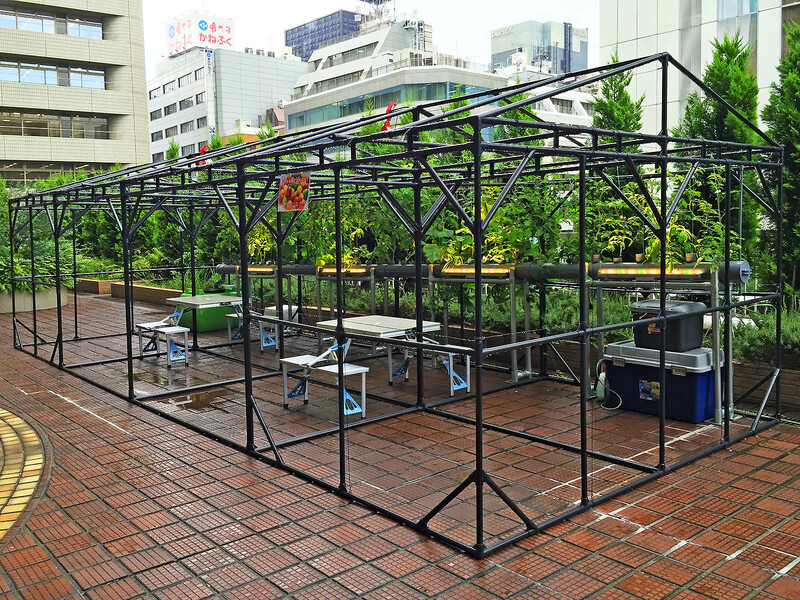 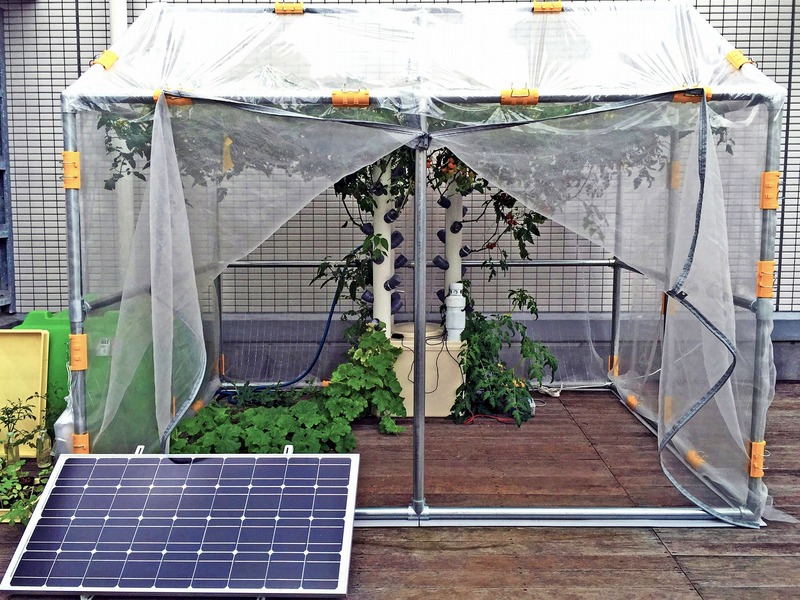 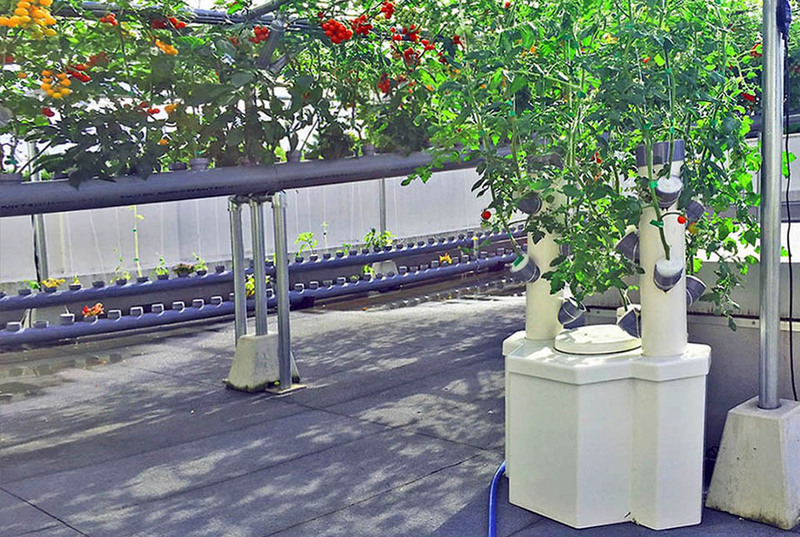 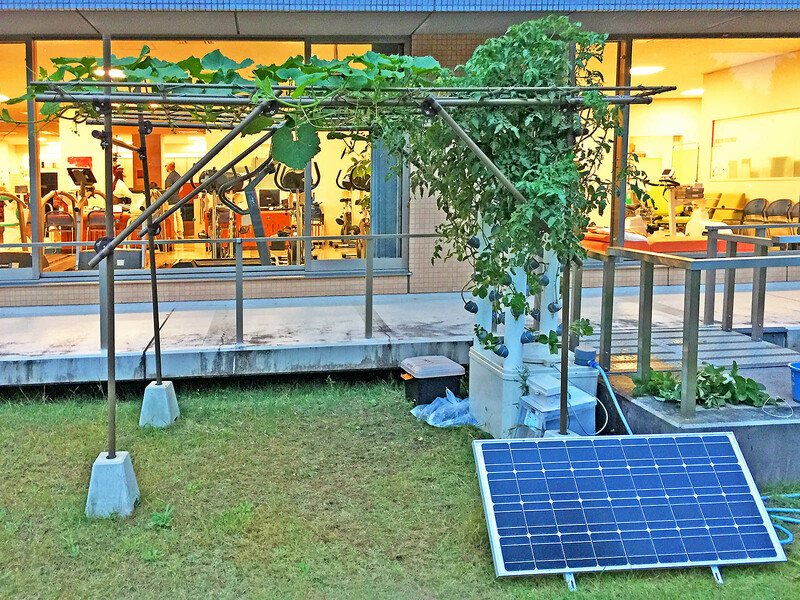 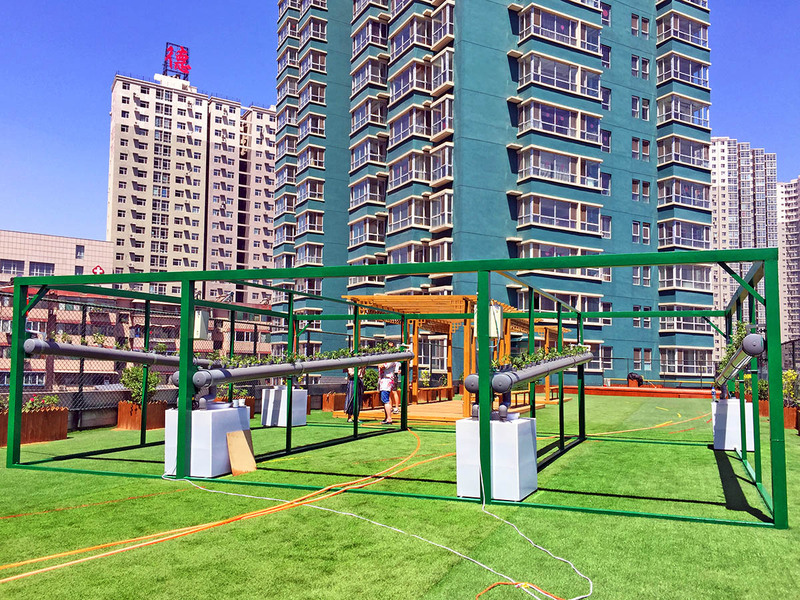 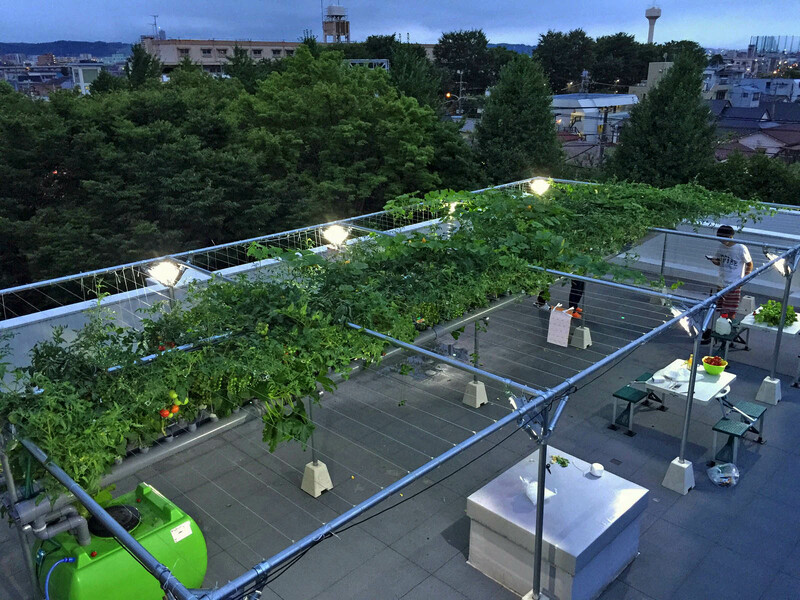 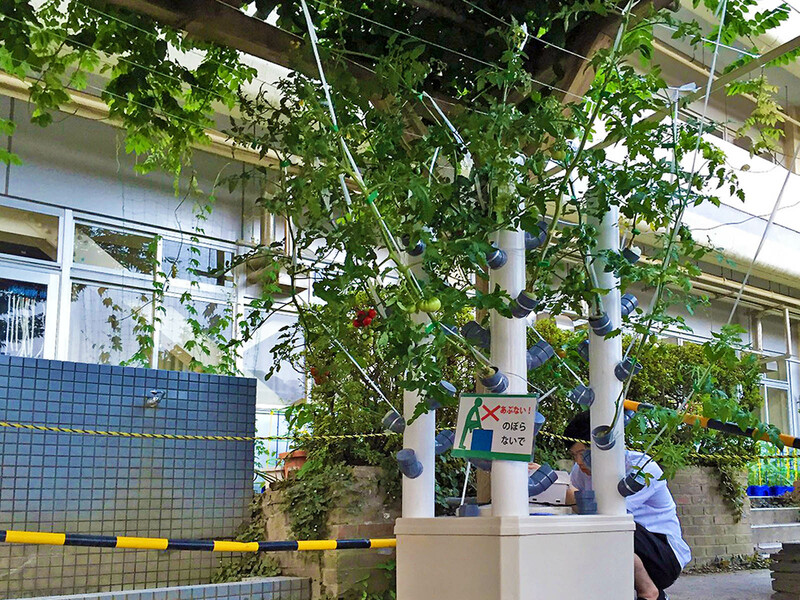 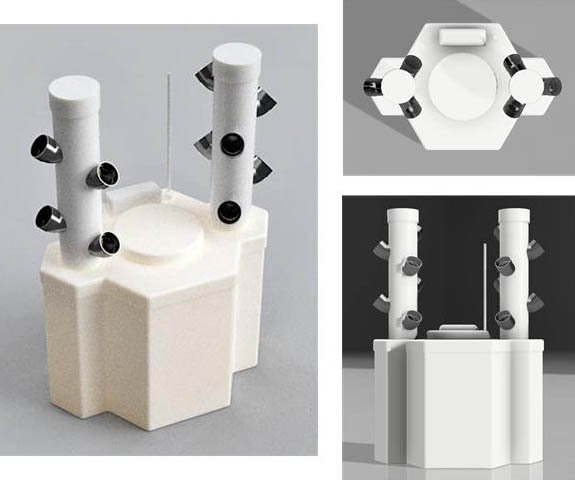 Our hydroponic farming system based on "suspended cultivation" developed by Ueno Engei, Inc., where vegetation is grown overhead, and farm work can be conducted while standing under the free space. 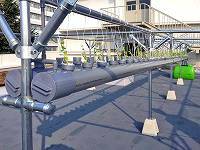 Roots of plant are not soaked in the water, and thus the roots can breathe sufficiently result in not root rot is occurred. 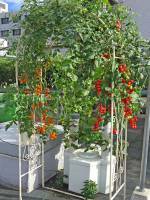 In order to make sweet fruit tomato, it is very important to limit water. 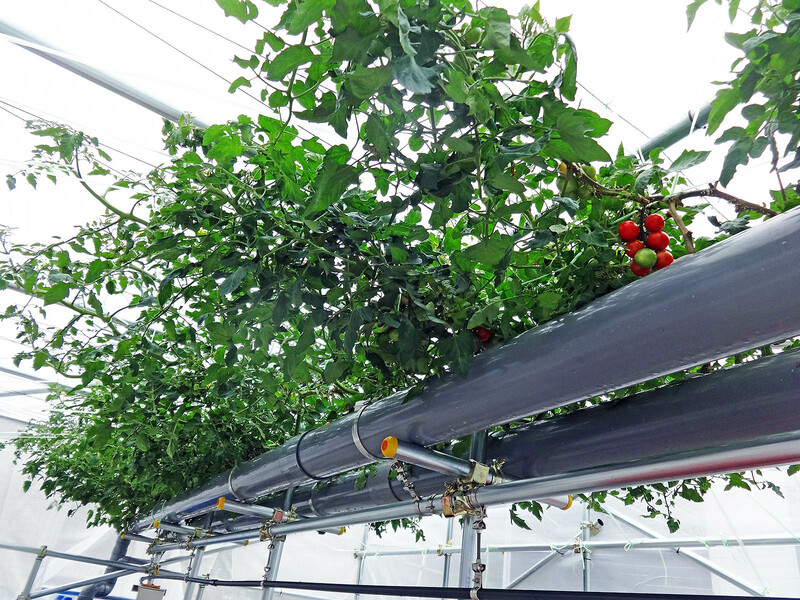 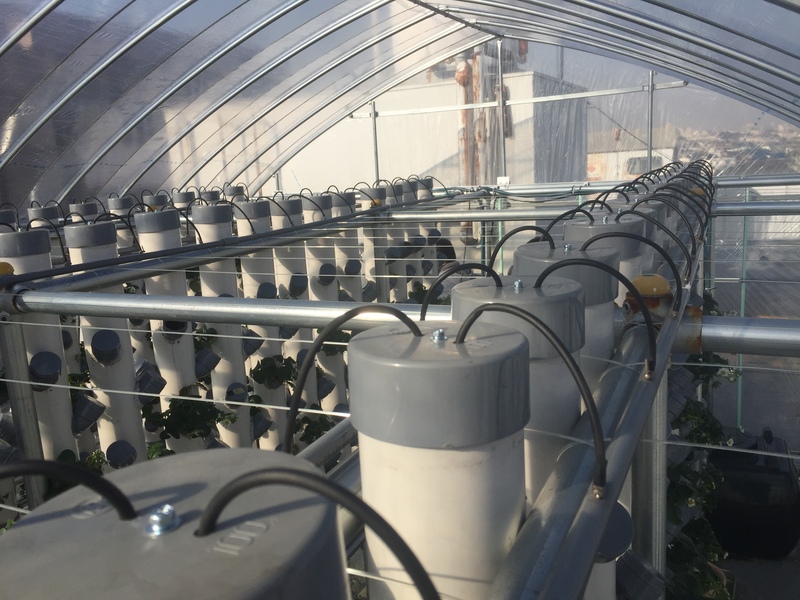 General hydroponic farming systems cannot limit water because the roots are always soaked, but our system easily realize it by control interval time for the watering in the pipes. 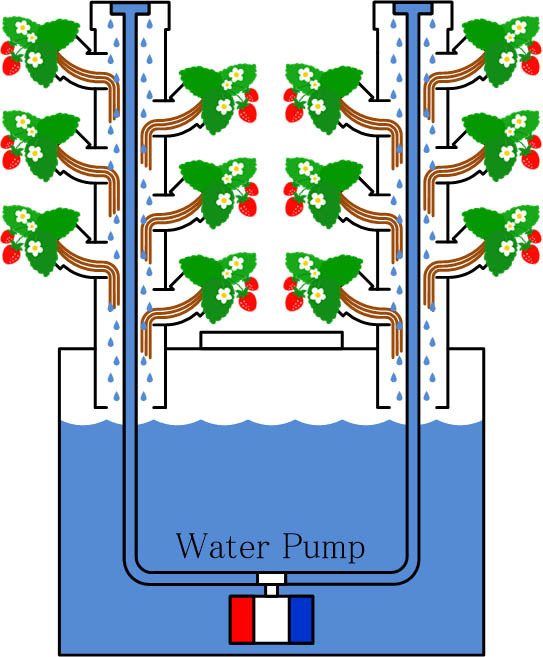 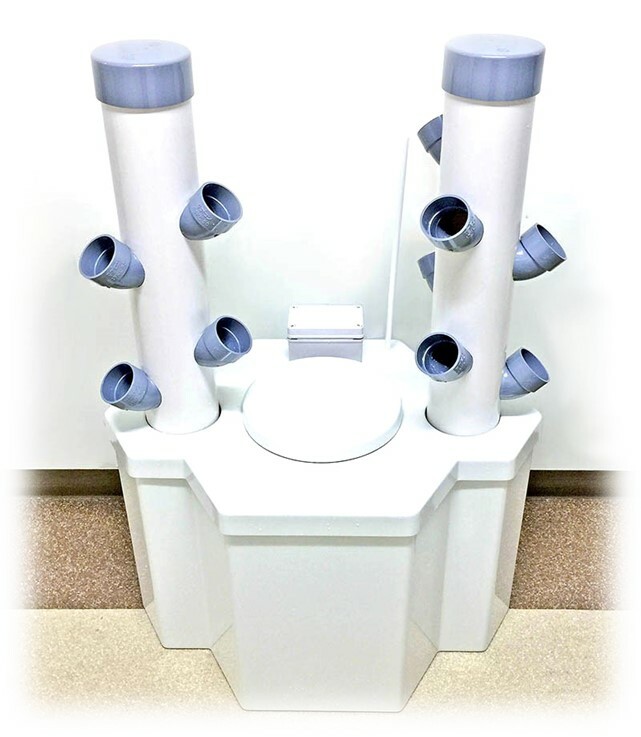 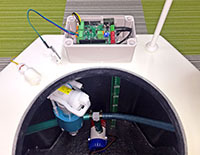 Water is stored in a tank and the pipes are empty except one minutes when a pump is working, and thus the system is very light and easy to be set up. 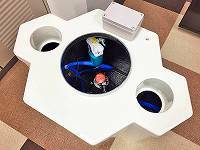 All the parts are available in DIY stores and are cheap. 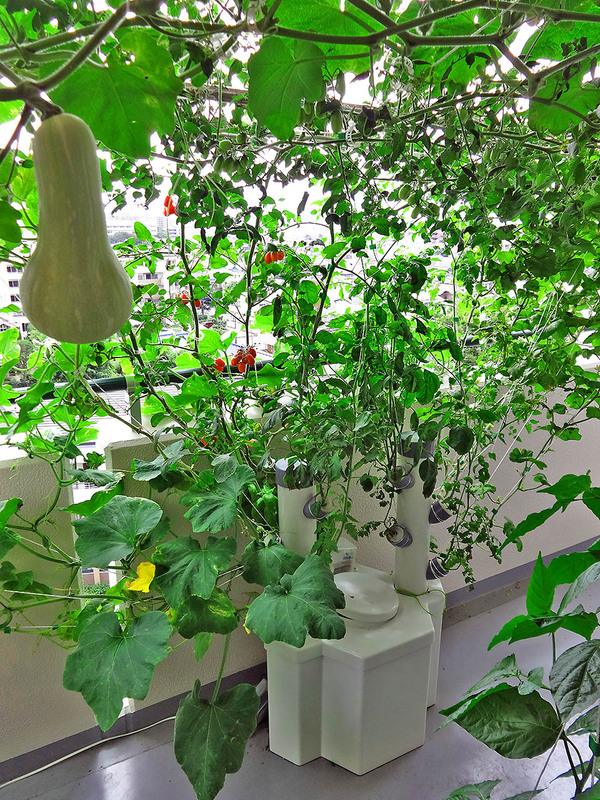 Hydroponic farming does not suffered by continuous cropping and does not pollute soil and ground water with fertilizer. 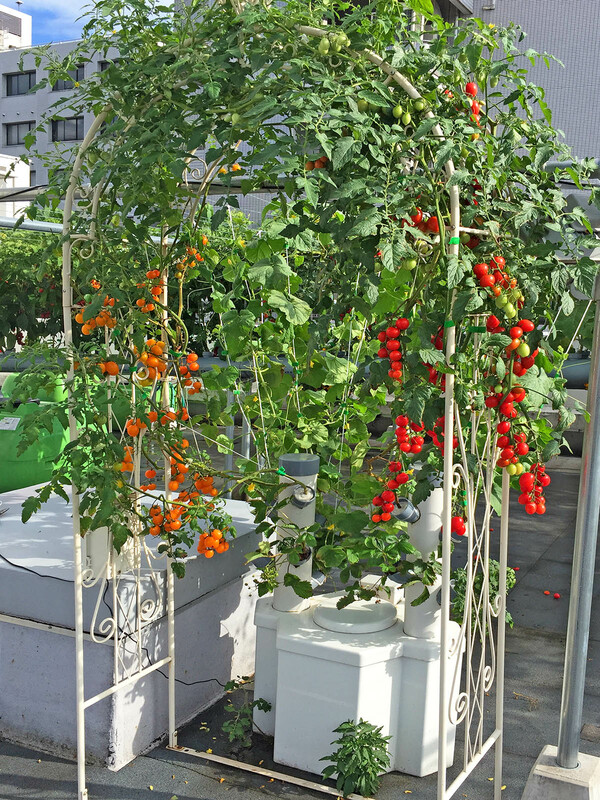 In addition, we do not use chemical pesticide because there aren't a lot of harmful insects on the rooftop of building without soil. 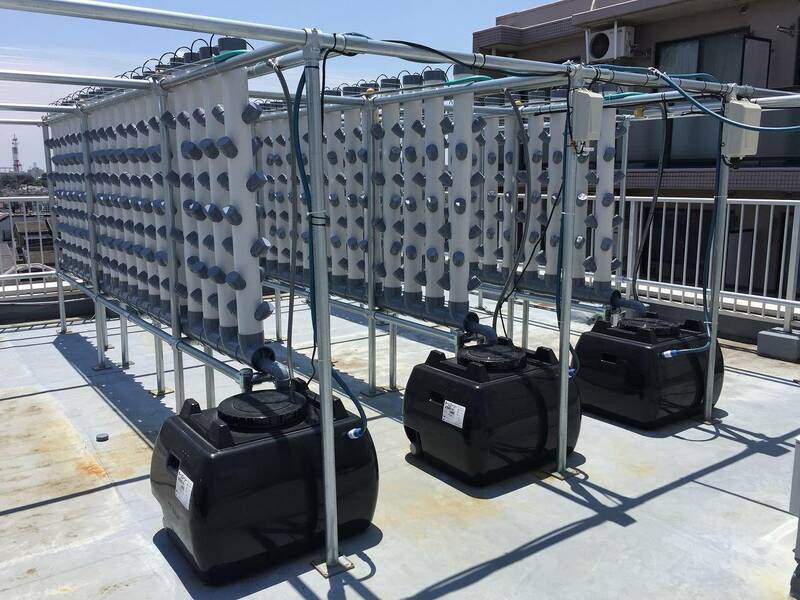 A water pump is activated in limited short period and its power can be supplied by using small photovoltaic panel and a battery. 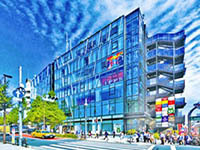 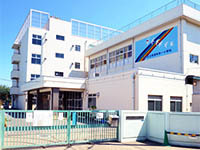 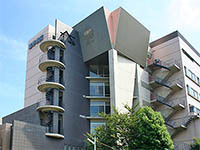 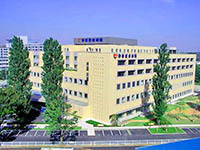 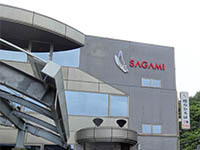 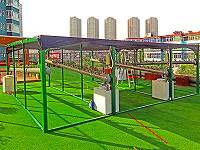 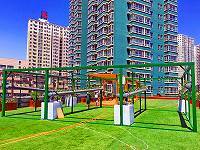 Therefore, this system realize very clean and eco-friendly urban agriculture. 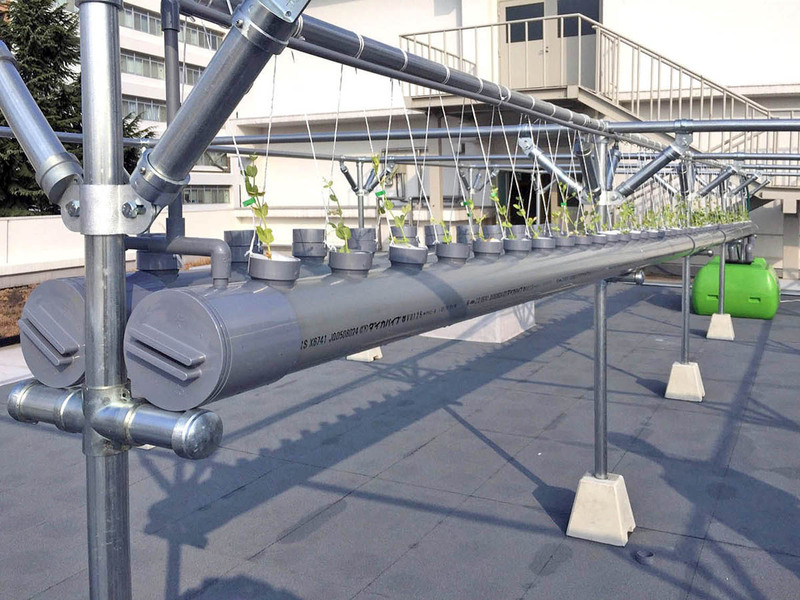 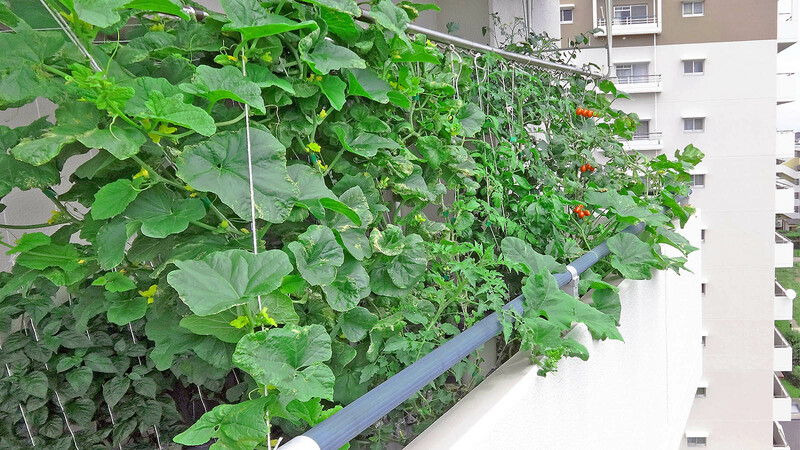 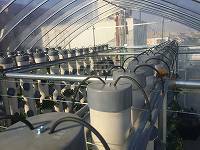 Various types of hydroponic system are developed from relatively large facility for Rooftop greening and creating event space to a compact planter on a balcony for personal use. 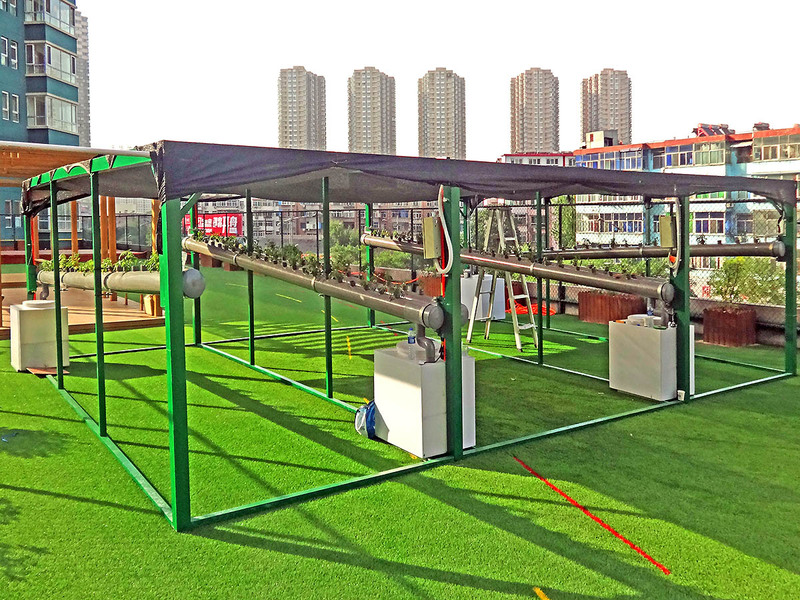 For commercial production of the compact planter, reliability test through cultivation using a prototype device, improvement of performance and cost down are conducted.